Although a total solar or lunar eclipse occurs roughly every 18 months, a total eclipse has not occurred over Kirkwood since 1442. So those in the path of totality, or the area where the moon fully covers the sun, are making the most of this event. Businesses are selling eclipse-themed merchandise, news stations have countdowns running 24/7 and some individuals are hosting their own viewing parties. And in KSD, students and faculty alike have been spending the last few weeks preparing for the big event on Aug. 21. A total solar eclipse happens when the sun and moon appear the same size from earth. Coincidentally, the sun is 400 times larger than the moon and the distance from the moon to the sun is 400 times longer than the distance between the earth and the moon. This allows the moon to block out the entirety of the sun creating the umbra, the inner shadow of the moon, that covers a band of land about 70 miles wide, which will include Kirkwood. Madi Janysek, senior, has learned a lot about the upcoming eclipse, both from her AP Physics class and from watching TV. She said she knows several individuals who will be hosting viewing parties and believes most of the students recognize the once-in-a-lifetime opportunity an event like this brings. She encourages students to think twice about taking the school day off, as they could miss out on an experience that will be more impactful than watching from home. Most science teachers, including Autry, have been geeking out over what viewers will witness once the eclipse begins. She said that around 11 a.m. everyone will go outside briefly to see the start of the partial eclipse. According to Autry, students will be able to see the moon gradually pass over the sun, causing Kirkwood to be in the moon’s shadow. Then, Autry said, students will come back inside until sixth hour. During sixth hour, however, everyone will head down to the football field and wait for the moon to fully block the sun. 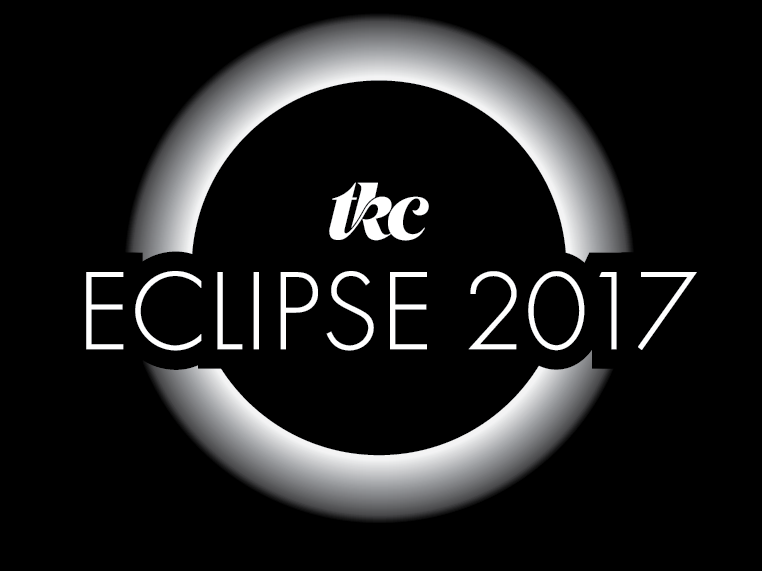 Once this totality begins, students will be in complete darkness and able to remove their eclipse glasses for a about 1 minute and 30 seconds, at which point they will be able to see stars and planets otherwise invisible to the naked eye, as well as the sun’s corona, or outer atmosphere. Autry also said students should feel very lucky they will be able to witness the eclipse at all. “It’s something that most people won’t ever be able to see in their lifetime,” Autry said. Dr. Michael Havener, KHS principal, encouraged the KSD community to heighten their excitement in preparation for this long-awaited event, which also comes with high educational value. With that in mind, Havener said he urges everyone who gathers in the football field on Monday to make the most of this opportunity. View the special schedule for Monday, August 21st here.